Young Tom Trelawney should be staying with his friend Finn Spencer while his parents holiday in Corfu. Unfortunately, shortly before they are due to go, Tom accidentally burns down the garden shed, and Mrs. Spencer refuses to have him. With their first holiday alone together in 15 years hanging in the balance, his parents have no choice but to leave Tom with his Uncle Harvey. So begins one of the best children’s adventure stories of the year. Uncle Harvey is a reckless reprobate with, it is implied, a girl in every port and a decidedly relaxed attitude to right and wrong. Who hasn’t dreamed of having an uncle like this? Before Tom can say 'health and safety' he is on his way to Peru on the trail of lost treasure. Not just any treasure either, but a hoard lost by Francis Drake. Their hunt will bring them up against South American mobsters, corrupt officials, and into any number of life threatening incidents. Short, spare sentences keep the pace breakneck, though there’s always time for humour; for many this will be a read-at-one-sitting book. 'Guide books are for wimps', says Uncle Harvey, but there’s quite a bit of information about Peru here. What’s more, the real hero of the book is John Drake, cousin of Francis, who sailed with him on his expedition in 1577, painting the new plants and animals they saw, and recording the journey in a journal. 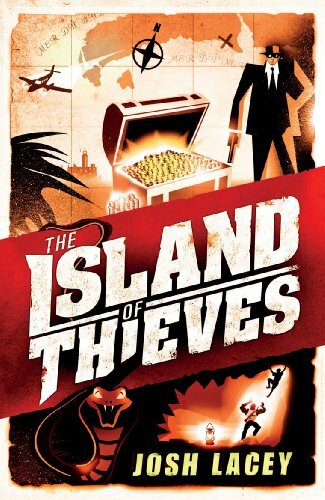 Readers will end The Island of Thieves knowing a great deal more about Drake and his adventure, without even noticing how much they have learned, and more than likely inspired to find out more still. It’s refreshing to read such a clever and enjoyable honest-to-goodness adventure story. Let’s hope there are more escapades to come for Tom and Uncle Harvey.